Australian Jodie Harris with a picture of her husband Abdallah Mahmoud Hisham. Jodie Harris, the wife of Abdallah Mahmoud Hisham, one of four Egyptians who Human Rights Watch declared missing after they were forced to board a flight to Cairo via Bangkok, said there has been no confirmation by Egyptian authorities on their whereabouts. 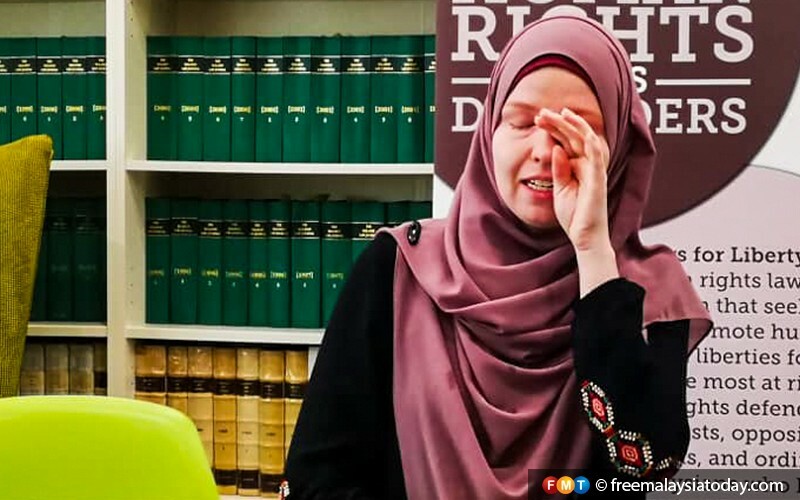 Harris, an Australian citizen, denied a claim by Malaysian police that her husband was involved in terrorism or the Muslim Brotherhood, the party banned by the Egyptian military regime. She has also published a video on YouTube to explain her story. 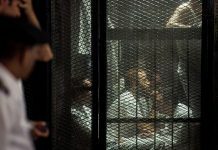 “It is practically a death sentence in Egypt,” she said, worried that her husband may be executed. Last month, it was reported that Abdallah along with five other Egyptian men and one Tunisian were deported by Malaysian authorities. The move was widely criticised by human rights groups, including prime minister-in-waiting Anwar Ibrahim. 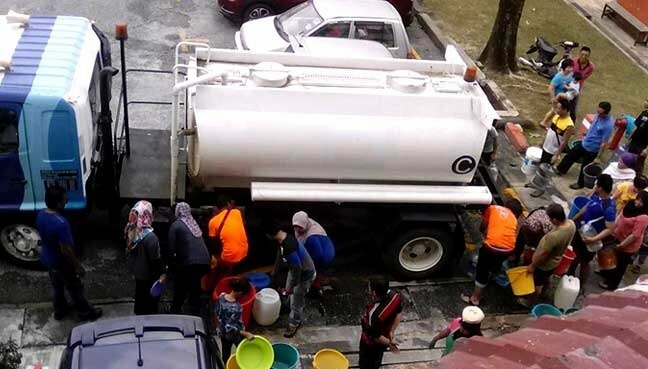 Bukit Aman accused them of aiding terrorist elements in the country. Jodie Harris fights back tears as she speaks during a press conference organised by Lawyers for Liberty. 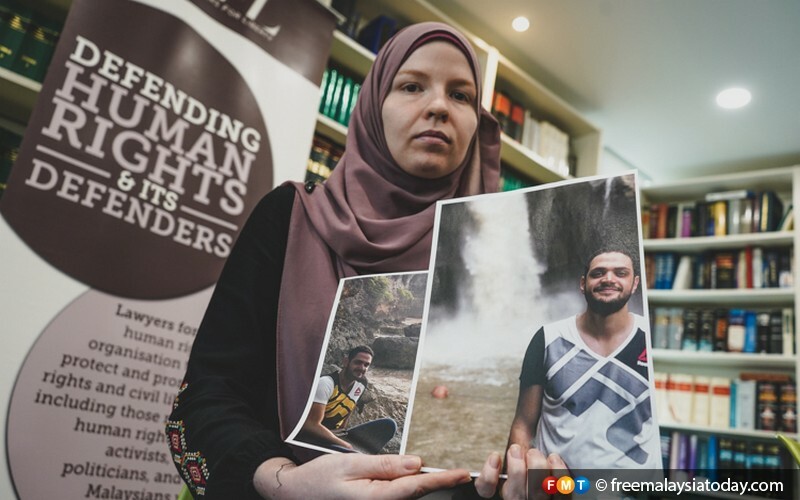 Meanwhile, Latheefa Koya, executive director of Lawyers for Liberty, said Malaysia must take responsibility over the disappearance of the four men. 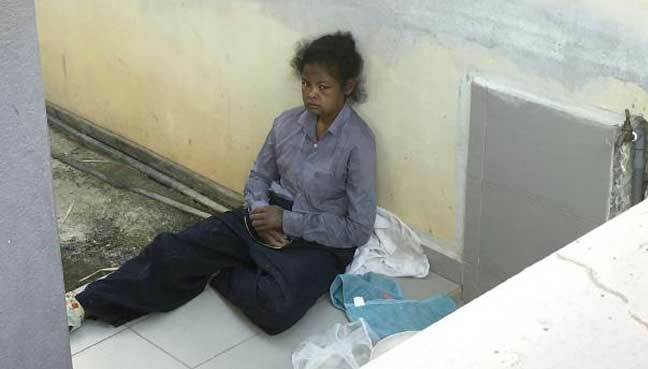 She took to task Inspector-General of Police Mohamad Fuzi Harun for claiming that the men were involved in terrorist activities. Latheefa also questioned the home ministry and government leaders for their silence. “We are very dismayed and disappointed with the new ministers who are in power for having nothing to say. “I’m sure if they were in the opposition they would be making a lot of noise,” she added.